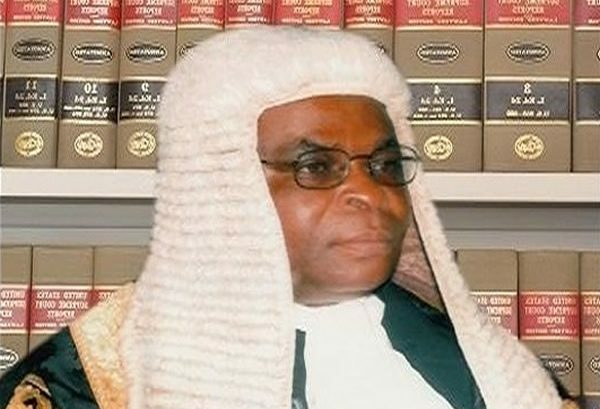 The Code of Conduct Bureau (CCB) has at last succeeded in serving the criminal charges on false asset declaration on the person of the Chief Justice of Nigeria, Justice Walter Onnoghen. The development makes it mandatory for him to personally appear for his arraignment at the Code of Conduct Tribunal (CCT) which was adjourned till January 22, 2019. It was gathered that the charges were served personally on the CJN on Monday 14, January 2018 by 3.30pm in his office at the Supreme Court of Nigeria Abuja. Justice Onnogen personally signed for the service, a condition required before he could be properly arraigned at the Code of Conduct Tribunal. Sources, however recalls that a Federal High Court has restrained the tribunal from proceeding with the trial pending the determination of a suit before it. However, a highly dependable source disclosed that the order may not be binding on the tribunal because they are courts of coordinate jurisdiction which by law have equal powers. Recall the CJN was absent at Monday’s hearing, with his legal team led by Chief Wole Olanipekun (SAN) arguing that his client was not at the tribunal because he had not been served with the charges against him as required by law. The Tribunal Chairman, Justice Danladi Umar directed the prosecution to serve the charge on the person of Justice Onnoghen directly as required by law.